An addiction to computer and video gaming usually starts out as the harmless playing of a few rounds. However, the excitement and thrill of gaming soon gets us playing almost every single day and before we know it, we begin skipping meals and putting off important chores just so we can play for a longer period of time. This seamless transition from casual gaming to compulsive gaming has gotten hundreds of thousands of people ‘trapped’ with the psychological need to spend more time playing, causing them to neglect the more important aspects of their lives. Excessive gaming habits leave us easily agitated, physically unhealthy and mentally restless. This problem is made even worse because like any other form of addiction, we would require an increasingly larger ‘dose’ of gaming in order to get the same buzz: as the days go by, our gaming addiction is becoming worse and worse! Do you often find yourself skipping meals just so you can spend more time gaming? Do you find yourself losing track of time when you play games? Are you constantly thinking about your games even when you are not playing? Are your gaming habits causing you to neglect your work in school or at the office? 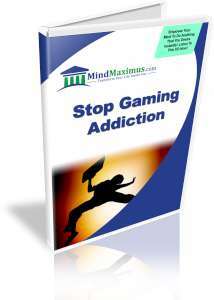 Many people mistakenly assume that an addiction to gaming is not a big problem. That’s why it’s such a dangerous addiction: we won’t realize the seriousness of this problem until it’s too late. 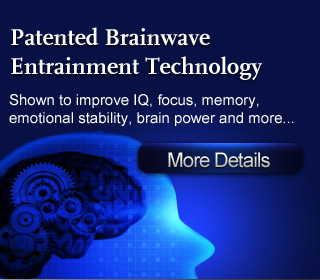 Thankfully, with today’s advanced Brainwave technology, we are now able to go straight to the problem-causing areas of our mind and reduce the urge for excessive gaming. With the latest in brain entrainment techniques, we can effectively train our mind to gradually ‘reset’ our gaming urges back to a healthy level, without any negative side effects at all! No reviews on E07 Stop Gaming Addiction so far.